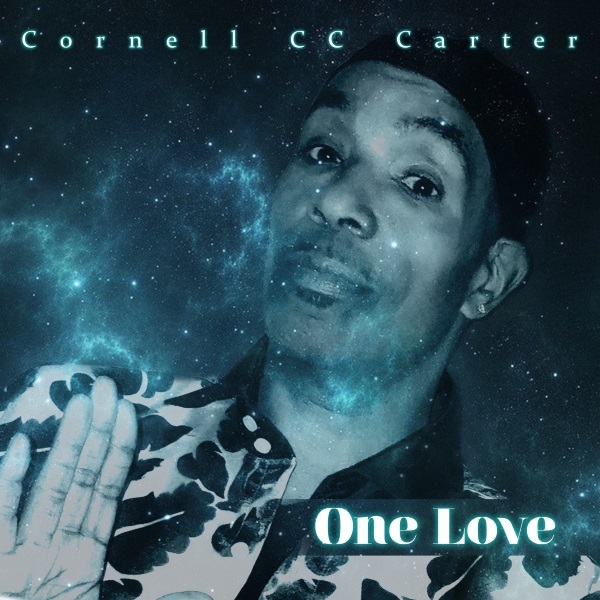 Soul Artist Cornell “CC” Carter to Release New Album “One Love” on Aug. 3rd, 2018 | LISTEN! San Francisco, CA – Cornell “CC” Carter has been gracing stages and entertaining thousands of fans with his signature sound around the world for many years. He is known for his phenomenal stage presence, his high-powered audience engagement, and his extraordinary and dynamic vocal skills. CC is now set to unleash his highly anticipated new album titled ONE LOVE. The CD will release worldwide on August 3, 2018, two weeks ahead of the digital release on August 17, 2018. Cornell’s strong love for music developed when he was a young man growing up in a San Francisco home chock full of Jazz, Blues, Funk, Soul, and Gospel, which has been the inspiration for his creativity and songwriting. He co-wrote and produced his internationally acclaimed 2016 album In The Moment with co-producer Kirk “KC” Crumpler, who has produced various award-winning artists. A collection of 13 diverse tracks spanning R&B, Funk, and heart-piercing Soul numbers, In The Moment is a mix of the past and present, featuring solid classics and contemporary chart-toppers. CC performed all lead and background vocals on the entire album and was also instrumental in the music’s production. CC has had many once in a lifetime musical experiences to draw from, but two of the highest points of his career so far has been sharing the stage as an opening act for the late great Godfather of Soul, James Brown, and the legendary Ray Charles. In addition to his various headline performances, he has also opened for other household name brand artists such as The Whispers, The Temptations, Natalie Cole, and Kool and The Gang. As part of Narada Michael Walden’s all-star band, which performs at various NMW Foundation events, he has shared the stage with other renowned world-class artists such as Neil Schon (Journey), Dionne Warwick, Ronnie Spector, and many other legendary performers! Throughout the years, CC has appeared on many albums, and he continues to be one of the most in-demand session vocalists in the San Francisco Bay Area. He was honored to perform with world-renowned, multi-platinum guitarist Carlos Santana, providing vocals on two tracks that appeared on Santana IV and on Santana’s latest album with the legendary Ron Isley. His experience and professionalism have made him an A-list vocalist for Tarpan Studios, appearing on many tracks with Grammy and Emmy Award winning producer Narada Michael Walden. He also contributed vocals on various Tarpan artist releases, including Jennifer Saran’s new albums Merry Christmas, You Are Loved and Walk With Me, and many others. CC loves to share his talents with aspiring artists and veteran performers alike. He established CDC Productions, his own production and record company geared toward assisting these artists to follow their dreams while also teaching them about the time and dedication it takes to reach their goals. Cornell has been involved with many charities and non-profits over the past few years, and his vision is to continue to uplift and engage people all around the world with Music and with One Love.